With the top-notch quality of tennis, attractive prize money, and worldwide coverage, the Wimbledon Championships is the oldest and undoubtedly the most prestigious tennis tournament in the world. While we may cheer for our favorite tennis players, groan in anger at all the deuces and even try to predict the winner, there is still a lot to know about this wonderful tournament. Of course, with being the oldest tournament in the world, there would have to be a lot of traditions that used to be followed back then and still prevails to this day. 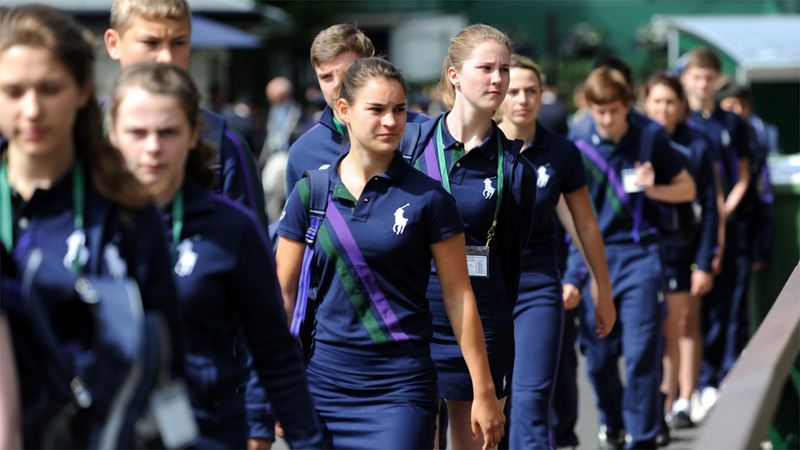 These are the traditions that make Wimbledon stand out from the other tournaments. Here are 10 of them that you probably didn’t know. If we can trust the Wimbledon with one thing, it would be sticking to its traditions. The first game was played in 1887, on grass. 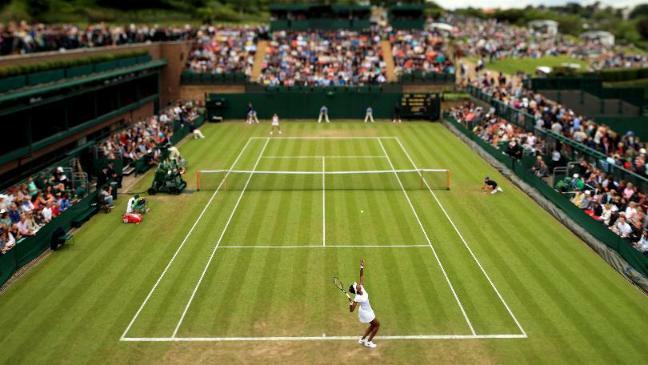 While other tournaments like the Austrailian Open and French Open have shifted to clay and hard-courts, Wimbledon is the only one to still stick with grass. The players are still referred to as, ” Ladies’ and ‘Gentlemen” and not men and women. Also, ladies are referred to as Ms. or Mrs. according to their marital status. The junior players are known as ”Boys” and ”Girls”. There is no reference to the male tennis players as “Mr”. There are a few other rules as well, such as if both the players have the same surname, then the umpire will use the first name of the player to specify whom they are referring to. “White does not include an off-white or cream”. There can only be “a single trim of color no wider than 1 cm”. “Any (colored) undergarments that either is or can be visible during play (including due to perspiration)” are not allowed. Many players have resisted against these rules and the overall rule in general, one of them being Andre Agassi. He skipped the event for three years but did eventually adhere to the strict dress code. It is also a well-known fact that the William sisters aren’t fans of this rule. nevertheless, the white brings out a refreshing change in the sports world which is dominated by the fashion industry. Players and spectators are offered strawberries and cream, and this is one of the biggest Wimbledon traditions. Although there is no proper source to tell when the strawberries were first served, some say it started all the way back in 1877 and the addition of cream came later on. The reason for serving strawberries is the season. 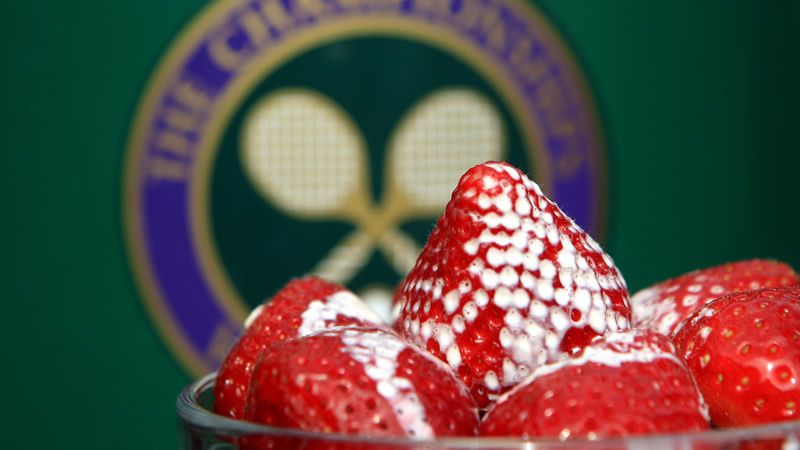 Both the tournament and strawberries signify the arrival of summer. Since the Wimbledon is highly prestigious, only the best strawberries are picked from the fields of Kent, and up to 9,000 servings are made every day. The lines start to form approximately a day before the event. This means the fans have to wait overnight to make sure that they get a seat. The seats are known as “standby seats”. Typically, there are 500 of them. After the wait, they receive a numbered queue card for the Centre Court, Court 1 and Court 2. The fans remain patient throughout the grueling process (which is even termed as vagrancy, but people say it is an experience in itself), as no unnecessary commotions are created and no bottles or objects hurled. This shows how much respect this prestigious event has earnt. Wimbledon does not have any sponsor advertising around its courts. It does not any sponsorship signage along its 14 acres, including the Centre Court, where most of the important games are played. This just adds up to the beauty of the lush green courts and the dark green boards really complement the light green grass courts. “We run a tennis tournament, not an event,” says club chairman Philip Brook in 2014. He shared a vision that they only want people to see the Wimbledon logo, and nothing else, which is commendable in today’s world, which is run full of advertisements. Wimbledon doesn’t allow the winners to keep the trophies. Instead, they are kept in the museum at the All-England Club. But from 1949 to 2006, the winners had started receiving the replica of the trophy, with a diameter of 8 inches. The rule has further loosened a bit more from 2007, where all winners received a three-quarter replica of the trophy. It bears the name of all the champions. There is also an engraving at the top and it reads, “All England Lawn Tennis Club Single Handed Championship of the World”. It is an honor for any player to receive it. Also, for the Ladies Singles, the Venus Rosewater Dish is the only major trophy that is not a cup. It has all the mythological creatures engraved on it and the tradition is that the trophy is to be awarded to the winner by the President of the All England Lawn Tennis and Croquet Club, HRH the Duke of Kent, and then walk a lap around the court to display the trophy to the crowd and photographers. Since 2005, BBGs work in teams of six, two at the net, four at the corners, and teams rotate one hour on court, one hour off for the day’s play. Teams are not told which court they will be on so as to maintain the same standards across all courts. The beautiful and ever-lasting relationship between the Wimbledon and the Rolex is a thing to behold. The only digital Rolex in the world can be seen during the event. The partnership between Rolex and Wimbledon goes back to 1978. The high-end watch company is the Official Timekeeper of the Wimbledon Championships as part of the sponsorship deal (one and only, since they do not sponsor any other advertisements) for more than 30 years. The relationship between the both is perfectly suited for each other as they hold the position of being the most traditional in their respective domains. This partnership slowly evolved into a tradition, to the point where Wimbledon is incomplete without the Rolex digital timepieces adorning the center court. Rufus the Hawk is a Harris’s Hawk used by the All England Lawn Tennis and Croquet Club to keep pigeons away from their venue. Described as an “important member of the Wimbledon family”, Rufus has been scaring away the birds for fifteen years, taking over from the previous hawk, Hamish. In the year 2004, he was stolen from the back of his owner’s car. His theft had caused a ‘global outcry” with significant media coverage, proving that he is “the world’s most notable bird” and “one of Britain’s best-known birds”. Here comes the end of the list, although there are many more. 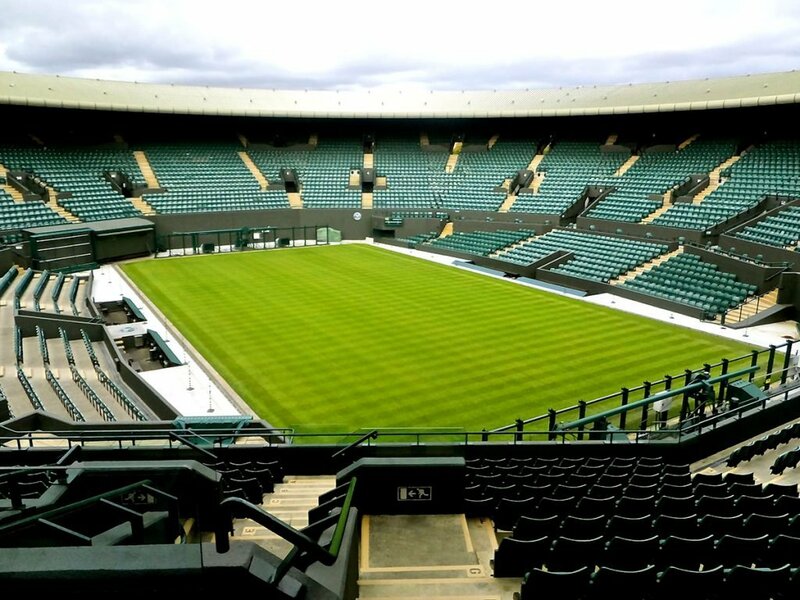 After surveys being carried out, the Wimbledon has been voted as the best by many. It is not a tournament anymore. It’s THE tournament. Everything about it is different from the rest. There have been many hilarious incidents as well, like Federer making the officials unhappy with a tiny bit of orange in his shoes, or Djokovic snacking like a pro in the court. As strict as the traditions may be, everyone anticipates this event every year with heightened expectations. One simply cannot deny the beauty of this game.